India’s fastest growing Chinese mobile brand Xiaomi is currently banned in the country and suffered a quick halt from its fast paced growth. 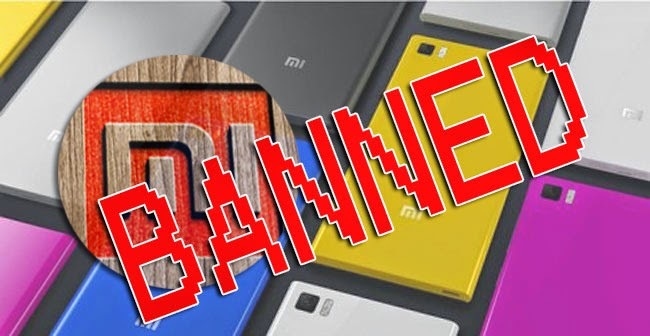 Xiaomi had been reported to outsell Samsung and Apple in India’s market but the ban is expected to give Xiaomi a sudden setback. India’s court had stopped store and Xiaomi Technology from selling their devices due to the patent infringement case filed by Ericsson. The ban will be effective until February 5 and it will make a large gap in the few months. The gap will be open for other local industries and companies. India business chief Manu Jain had once shared to Reuters that Xiaomi had initially brought 10,000 devices a week which soon became 60,000 to 100,000 because of the increasing demands. Xiaomi Technology is known for selling devices with minimum advertisement and that is because of their utilization of social media. Xiaomi Technology was also reportedly outselling even those cheaper smartphones running on Android. India had embraced Xiaomi phones yet there are expected problems on their patent issues. The new company giant is said to be vulnerable to issues on intellectual property (IP) rights. The company admitted that it is a challange to build their portfolio with built up patents and is even aiming for 8,000 patents by 2016. Even in China, Xiaomi Technology is facing IP controversies usually on streaming TV service. Xiaomi Technology continues to battle against Huawei and ZTE Corp in their home country especially as the two technology companies are top telecom patent holders. India has a vast market since it has high potential with one out of 10 people has a smartphone. With the staggering growth of 82 percent in the third quarter of the year, Xiaomi topped the telecom industry ahead of Apple Inc and Samsung.